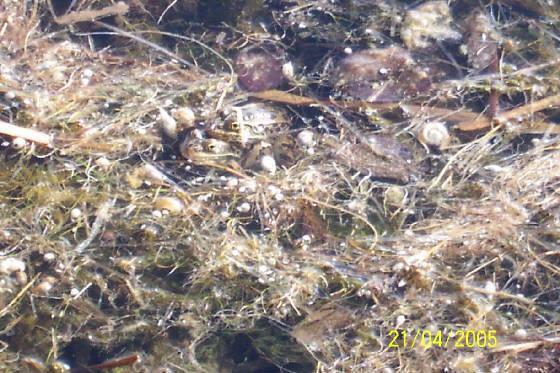 May of 2005 was the third spring where a leopard frog egg mass was brought in to the Magrath area to build up a viable frog population. 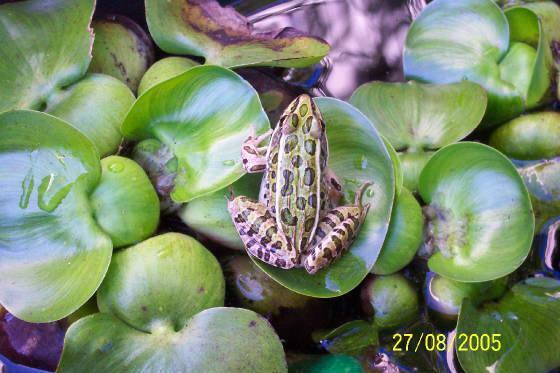 We hope that there will be enough adults frogs to create a breeding population. Next spring no eggs will be brought in. 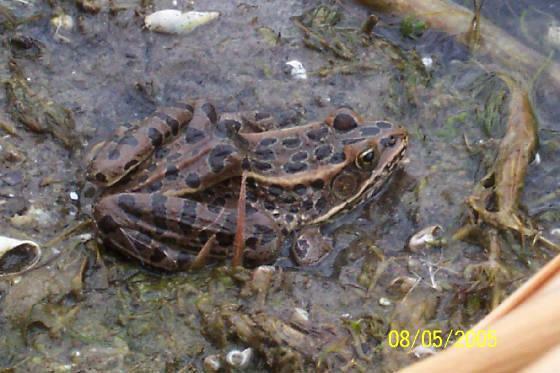 In April 2005 we observed mating frogs. Although we never actually saw egg masses, in June there were a lot more tadpoles than the single imported egg mass would have produced. By the end of July over two thousand froglets were counted in and around the brood pond. For the first time since the 1970s we have "made in Magrath" frogs.